Hello! 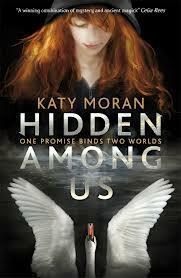 I am very pleased today to be host to the Hidden Among Us blog tour and to have the very lovely Katy Moran to share with us her thoughts on the editing process. Hidden Among Us is a wonderful story, filled with great characters, plot and setting and I found Katy's guest post to be really quite fascinating. When I first had the idea for Hidden Among Us, I knew I wanted to plumb the rich depths of our folklore traditions, but I thought I’d be writing a book for much younger children: the 8–12 age bracket, in fact. As a child, I loved spooky novels that involved ancient stories coming to life, preferably with a creepy old house involved somewhere along the line, like The Box of Delights by John Masefield. I wanted to have a go at writing something similar, and was determined that my new book would be aimed at this slightly younger audience. It turned out I was wrong about that! I’d already sketched out the plot as part of my pitching process, but I have to admit that when I started to write that very early first draft, I felt a little uncomfortable, as if I was wearing ill-fitting clothes. I sent off a sample to my editor – a few chapters, including Joe’s arrival at Hopesay Reach and the beginning of his suspicions that Lissy had become entangled in a situation that was spiralling out of control. Denise’s response was what every author dreads even though I knew in my heart what she was going to say. The book just wasn’t coming together and the magic wasn’t there. I had to delete 17,000 words (a good couple of months’ work) and start again with a blank page. Those nail-biting few weeks of waiting for Denise’s verdict did me the world of good – writing a book is sometimes a case of following a trail of crumbs into the woods and completely losing all sense of up or down, and that carefully thought out synopsis or chapter plan can often prove to be something of a false friend. On returning to my blank page, I realised that although the essential plot and premise of Hidden Among Us was a goer, I had been writing it from the wrong perspective. When I first began, Joe was the only narrator, and like Lissy, he was twelve years old. It became obvious that Lissy’s story was really at the centre of the plot, and that she and Joe needed to be a little older for that story to really fly. Joe’s role has always been one of the observer reluctantly drawn in to the action, but Lissy is at the heart of the story. Of course, Hidden Among Us is not a love story in the conventional sense – it’s far more about the bond between brothers and sisters – but there is something particularly special about teenagers, and my characters needed to grow up to become that little bit more dangerous and interesting. People this age teeter so precariously on the cusp between childhood and adulthood. Just as Lissy says in the book “seven and seven again” – fourteen is a fairytale age, magic. Making Lissy and Joe a couple of years older coagulated the story because they were able to act and think in a way that a twelve year old wouldn’t. What really made the narrative take off, though, was introducing chapters from Rafe’s perspective. There was so much crazy stuff happening to Rafe in the background that I realised I had to introduce him as a narrator. Also, I think Rafe would have appeared in more one-dimensional light as a bit of an evil super villain had the reader only ever seen him from the perspective of Lissy or Joe. It’s been fascinating to see the reviews coming in with everyone loving Rafe as a character! He was a lot more morally ambiguous at first, but seeing the world through his eyes really changed the rules of the game. I now can’t remember if it was Denise, me, or Denise’s wonderful assistant Daisy who suggested I introduce a few chapters from Miriam’s point of view. I think this decision actually arose out of a phone conversation and that we all reached the same conclusion at once, but I could be taking too much credit! Miriam is Rafe and Lissy’s mother, and the gradual unravelling of her history adds an element of tension to the story that would not exist if she were simply a background figure. In fact, one of Denise’s earliest comments was that Miriam came across as a rather stereotypical figure – an overly fussy middle class woman. Allowing Miriam to tell her own side of the story allowed me to correct that clumsiness and draw her character along more subtle lines, and also to reveal certain pieces of information at crucial moments. I am a mother of young children, and through Miriam I was able to explore some of my darkest fears. I went to a place very deep inside myself to write Miriam as she appears in the final version of the book. attached to the Hopesay Estate, and a gamekeeper’s cottage where Miles Conway was now living, having sold off his family home. Resurrecting the Reach itself was one of the editorial pivot points that really brought the story together. Now I feel almost as if Hopesay Reach has become a character in its own right. I also found that I had to make other aspects of the story more ambiguous in order for them to become credible – and let’s not forget I’m dealing with the Otherworld, here. I kept asking myself what would happen if the Hidden really did exist and how they would be viewed by the authorities. I still feel that if there really was an immortal race living among us, someone in power would know about it, and there would be a definite strategy in place for dealing with such a potentially destructive force. The Fontevrault Group is based on the shadowy Bilderberg Group, which is said to hold secret conferences in which important world issues are decided by an elite membership. 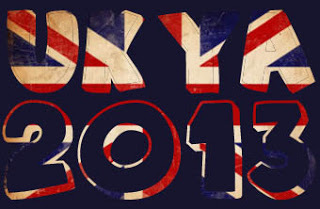 Entry is strictly by invitation only, and rumour has it that Bilderberg conference attendees are drawn from a pool of big players in politics, banking and industry. The Bilderberg Group is surrounded by conspiracy theories reflecting our fears and worries about important decisions being reached about world issues by people who were never elected to speak for the rest of us. I decided that if the Hidden really did exist, the Bilderberg Group or an organisation along the same lines would certainly know about them. So, when I first wrote scenes involving the Fontevrault, I had real world figures appearing as characters, but Denise quite rightly said that it would work so much better if the Fontevrault members were less well known figures. Denise is a wonderful editor, one of the best in the industry, and I am very lucky to have her. A good editor really is a creature of inestimable value to an author. Denise always helps me to map out my path, but I can only step out on that journey alone. Often she will make suggestions I don’t agree with, but when this happens we always seem to hit on a solution that leads us to a better and more interesting place than perhaps either of us had originally envisaged. Also, I have to say that Hidden Among Us would not be the book it is without the help of Denise’s assistants, Ellen and Daisy. Ellen left not long after the editing process began, and is now a fantastic editor in her own right, working at Bloomsbury. Daisy took over Ellen’s job, and has the most astonishing memory and a wonderfully analytical mind. She always remembers every twist and turn of the plot without even having to flick back through the manuscript. I’ve had so many incredibly useful chats with her, bouncing ideas around. Looking back on the editing process, I can see now that simplification was the key. So often, a problem with the plot was dealt with by returning to the motivations of my characters, and to the unbreakable bargains that bind them all together. Thank you so much, Katy for that wonderful guest post! Hidden Among Us is available in paperback from Walker Books from the 7th of March! Please do visit Raimy's wonderful blog, Readaraptor, next Friday to read Katy Moran's next post in the blog tour! What an interesting guest post. I always love to see how other writers' work evolves. Now I'm doubly interested to read the book! It's so interesting that Hidden Among Us was originally planned as a younger novel. Really looking forward to reading it!